Quick Step is a leading floor brand and division of Belgian company Unilin, launched in 1990 and gathering an impressive catalogue of 'firsts' ever since. 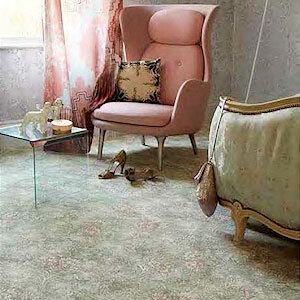 It was the first company to bring laminate floors to the Belgian market; the first manufacturer market a glueless, integrated laminate flooring click system - 'Uniclic'; and the first laminate manufacturer to perfectly match the surface structure and feel of a laminate floor with its natural pattern. Quick Step flooring is on offer here at Vale Furnishers, and we are proud to offer this eminent Belgian brand to the UK market. Our dedicated flooring department showcases an extensive selection of Quick Step laminate flooring, catering for all tastes and styles. We offer Quick Step underlay, Uniclic floor planks, V-groove laminate tiles - all the laminate floor systems that Quick Step are famous for. Quick Step is just one of our many flooring brands. We also sell vinyl, laminate, wood floors and carpets from top brands like Axminster Carpets, Alternative Flooring, Ryalux and Parador.